Dog grooming experts know that if you are going to be working with dogs all day you are going to need dog grooming tables. Without a dog grooming table it becomes difficult to control the dogs and makes work more tiring than it should be meaning you can work less. By investing in a dog grooming table you are investing in your future and the future of your business. Because there are so many different dog grooming tables let’s take a look at some of the most popular. This pet grooming table is one of the more popular ones on Amazon. It is ranked as number 7,305 in Pet Supplies. 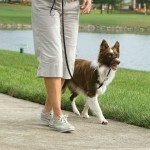 It features a fold up table and a detachable arm that features a built-in removable leash system. One of the best uses for this pet grooming table is for groomers who are on the go, if you visit client’s homes or go to pet shows. 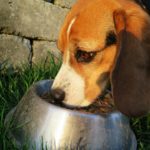 It is easily transportable and has a non-slip rubberized top so that your dog, or your client’s dog, will have an easier time staying on the table. Go Pet Club also produces this same table size in 32, 42, and 48 inch models for dogs of different sizes. 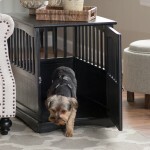 For those that have small dogs or take care of small dogs this table is a great option. 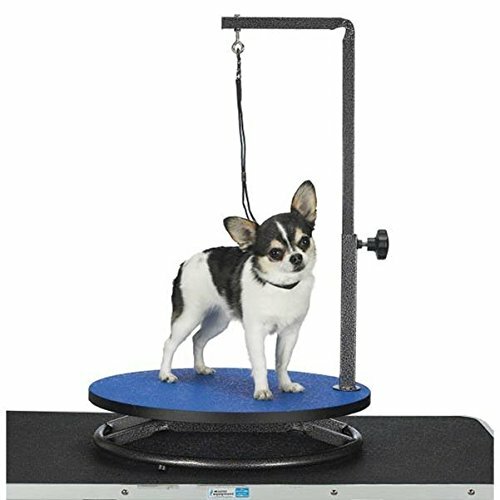 The 18 inch table top makes it great for small dogs but also ideal for transporting in an SUV or even a larger sedan with no issues. 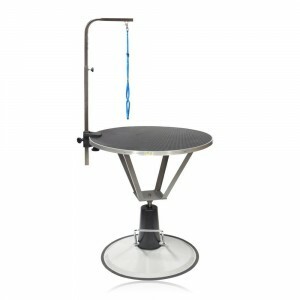 Unlike most other pet grooming tables this table is circular and not standalone. That means that in order to use this table you must have a flat surface. However, because of that you can turn almost any flat surface into a grooming table without having to bring a fold out table with you. 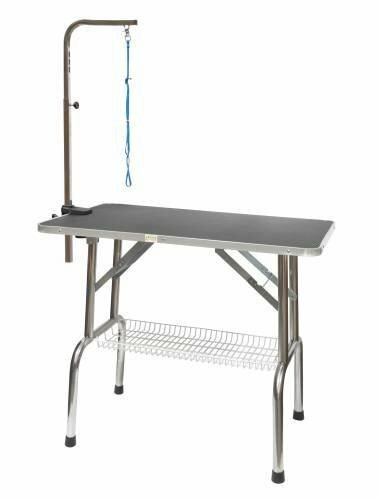 Are you looking for a dog grooming table for a more professional setting? Maybe you need one for your new dog grooming facility. Well you are in luck, this Go Pet Club dog grooming table is perfect for anyone who has a professional dog grooming business. It features a 35.5 inch table with an arm that is able to be raised up to 40 inches, you can replace the arm if you need to though. The key feature of this table though is the hydraulic lift system that can make it easier for smaller dogs to help themselves up but also makes it easier for the optimal grooming position depending on who is using the table. One size fits all with dog grooming tables doesn’t always work. Another Master Equipment item has made the list, it is only logical as the produce a lot of dog grooming products. This arm clamps onto virtually any dog grooming table. To be clear this is an arm only and is only an option for someone who already owns a dog grooming table or a table that they want to use as one. The specific one mentioned above is a 36 inch model but they offer a variety of other models for dogs of various sizes. «Dog Bandanas: Share Your Style With Your Best Friend!